We are fired into life with a madness that comes from the gods and which would have us believe that we can have a great love, perpetuate our own seed, and contemplate the divine. The powerful encounter of a 17-year old young woman with a Presence had been forgotten and buried deep in the recesses of memory. When I read that her experience happened in Lone Pine, California, my spiritual homeland, you know by now that this caught my attention. William James would affirm that this was indeed a mystical encounter with a Presence: direct, noetic, life changing, coming as a surprise when least expected, ineffable without adequate words to describe, and deeply resonating within her total being. Barbara did not live in a world in which she could comfortably reflect on this experience. This Enlightenment world of Reason, Descartes’ world of a Buffered Self, where spirits and unseen powers and strong emotions cannot get at the core of the person, repelled such talk to the dark recesses of superstition and folk religion. Her scientific training dismissed the experience to a mental breakdown and chemical imbalance. But noetic experiences like this get imbedded deep within our being and have the power to resurface in dreams and quiet moments of consciousness. Barbara became a student of world religions, trying to figure out what happened to her those many years ago. Surveys reveal that about half of Americans have had an experience like Barbara’s, a mystical experience. How does a rational scientist and atheist make sense of this mystical encounter? LA Times Book Review, April 6, 2014. I look forward to reading her in-depth response in her new book, Living With a Wild God: A Nonbeliever’s Search for the Truth About Everything. Barbara’s scientific training in inductive exploration of data ironically led her to intense analysis of her experience, considering all the possibilities. What had she encountered in that mystical experience ? The faithful scientist dismissed all this as mental phenomena. But in this time of her exploration into mystical experience, she discovers that neuroscience is mapping the brain with MRI, CT scans and EEG. We are learning what areas of the brain light up when Tibetan monks and Roman Catholic nuns spend hours in deep meditation and the physiological changes that take places in those brains. Are we “wired” for transcendent experience? Can the rigid dogmatism of science step back, and apply inductive detective tools to search out the source of mysterious experiences as Barbara’s? The book is a critique of the dead world of Cartesian science. I am thinking of my students in the lecture class on world religions, which I have taught for over forty years. Many have not grown up within a religious tradition; some were raised within a similar atheistic, skeptical family circle. From the beginning, I try to help them through their reactivity to “religion,” its institutional trappings and dark histories, to see that “religion” in its raw, native sense “connects all of life together.” I try to open their hearts to the possibility that we are indeed wired for mystical encounters with a Presence/the Other/the Holy and that this connection is our deepest longing. I enjoy dialogue with my students about their beliefs. Many have left their childhood faith or did not grow up within a family that practiced a spiritual tradition. Some of the students can be quite vocal about their disbelief in God, which is puzzling, as we will spend 17 weeks exploring in depth the passionate traditions of the world’s religions. “Can you describe this God in whom you cannot believe?”, I ask. I usually hear disbelief in a heavenly judge carrying a baseball bat or a puppet master. I respond that I don’t believe in a God like that either. These same students will acknowledge there could be some Presence out there somewhere and have had transformative encounters in nature themselves. Nicholas Lash, in his book What God Is and Isn’t, suggests that the God rejected by atheists is an idol of their own imaginations. Atheism has a point in rejecting the existence of “a person without a body,…..eternal, free, able to do anything, knows everything…. (and is) the proper object of human worship and obedience, the creator and sustainer of the universe.” However, if God can mean the mystery that created all things out of love and in wholeness, then all things live in a constant connection to the Presence, even if that relationship is not acknowledged. Lash contends that to make a decision to have nothing to do with this Presence is self-destructive. How should believers in God respond to these honest criticisms of faith in God, even if these voices seem to feed off our religious faults? Honest conversation with atheists helps Christians and other believers look at the limitations of their images of God, who is after all mystery beyond full comprehension. Apophatic spirituality includes conversation about who God is not. Doubt and questions are part of a maturing faith. Often a personal crisis, a dark night of the soul, can bring transformation into a deep communion with the Other/God. As I have shared in these blog conversations with you, our son Erik’s many health crises have dragged our family through deserts of despair. Each day could be a different version of hell on earth. God, however we imagined God, became a memory of a far distant presence. I would frequently celebrate mass, and anoint the sick and dying, mouthing the liturgical words of a sacrament, but my heart of faith was not there. Many times the road could easily have led to the death of Erik. However, he lives and each day is a gift. 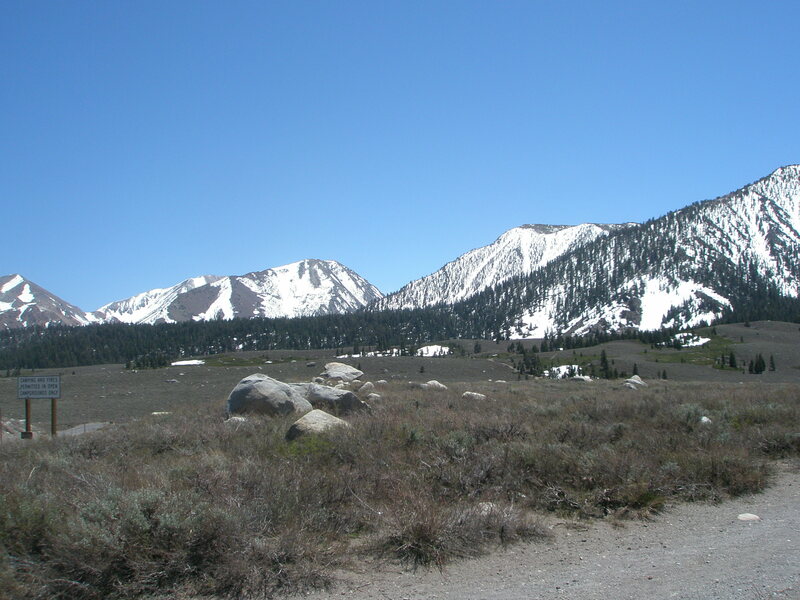 My retreats in Lone Pine and the Eastern Sierra awakened a new awareness of God as a close, loving presence. Would I still have faith in God if I were going through the long grief of loss of Erik? I don’t know. But I will remember those foundational encounters with God. They are my spiritual ballast as you and I move into an unknown future. Barbara is still working through that first encounter in Lone Pine, as you read her book. My prayer is that she will find that beyond her rationality and inductive application of the scientific method, she will find that faith is more than rationality and ideas. It is a gift for the heart, which settles into the depths of our being when we are embraced by the Holy Presence. There is something deep within us that yearns for this intimate communion with the Other/God/Presence. “Why Have You Forsaken Me? Five Theses on Faith and Atheism.” Monsignor Tomas Halik, ABC Religion and Ethics, 18. March 2014. Atheism and Belief, Ron Rolheiser OMI, November 14, 2010. The Value of Atheists, Ron Rolheiser OMI, September 1, 2013. Living With a Wild God: A Nonbeliever’s Search for the Truth About Everything, Barbara Ehrenreich. This entry was posted in Blog and tagged atheism, barbara Ehrenreich, Lone Pine, mysticism, Owens Valley, Rationalism, science. Bookmark the permalink.